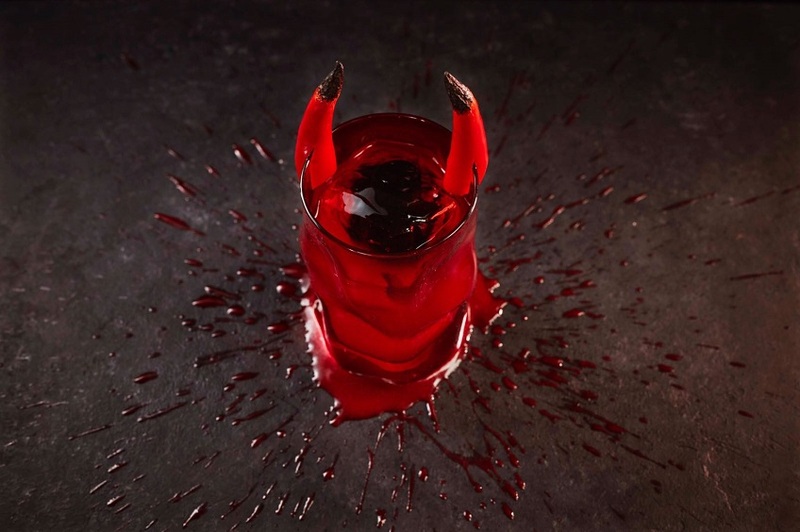 If you like your frolics with the twist of an iconic view, then the Halloween Special (Day & Night Party) on the 14th floor of the Dorsett City Hotel in Aldgate is the one for you (and your companions!). 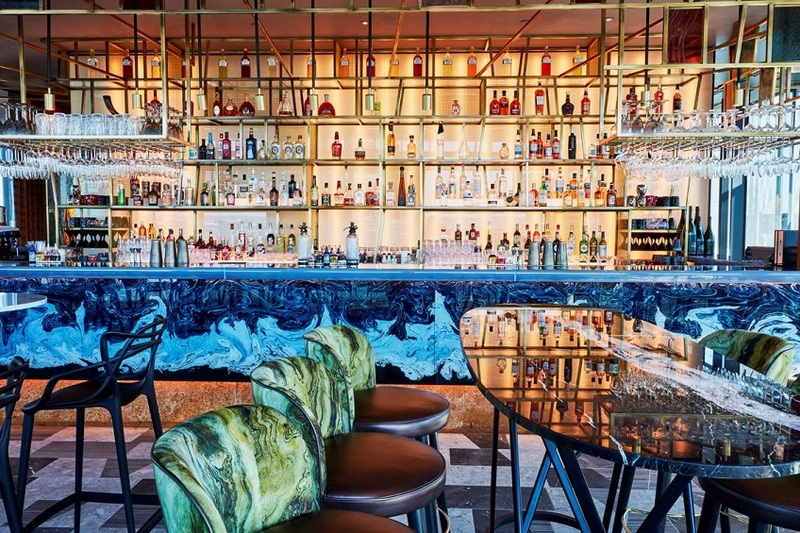 Taking place in the Jin Bo Law Skyline Bar, taste a terrifyingly terrific themed cocktail while absorbing also the wondrous night-lit sights of “Tower Bridge, the Shard, the Walkie Talkie, the Gherkin and more”. Starting at 2pm on Saturday 27th October and running in ‘Extended Party’ style until 4am Sunday morning (oh yes! ), the event is sponsored by Patron and offers one free drink per entry. 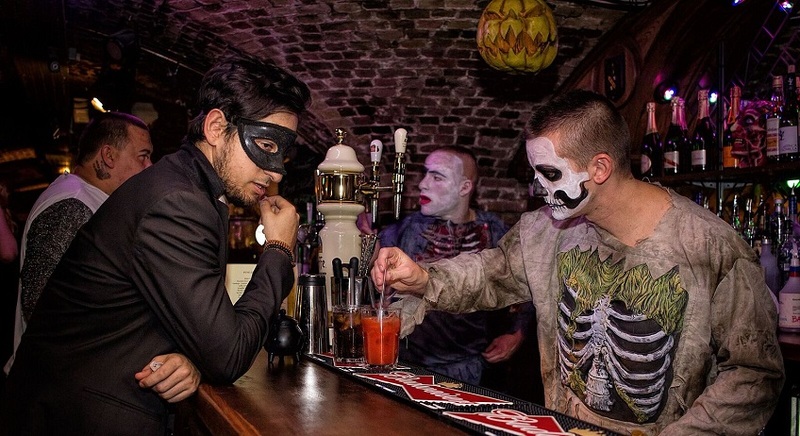 Think “Body/Face paint artists, Magicians performing the art of ‘Black Magic’ and sorcery, Vampire & Zombie blood tequila shots, scary decorations and lots more”. Tickets between £10 and £20. However, you might like your Halloween revelry somewhat more immersive (we do costume ourselves fantastically for the night, after all). 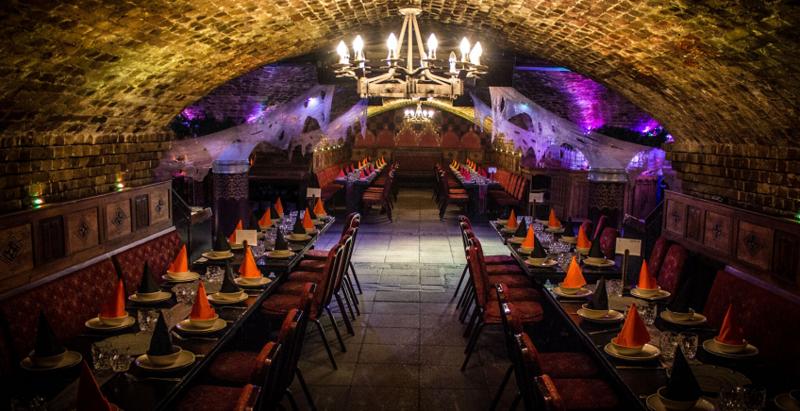 If so, then The Ivory Vaults are throwing a themed Medieval Banquet from Wednesday 24th October until Saturday 27th October. Set in the court of King Henry VIII, but with an undead twist, it is sure to be “the perfect location for witches, warlocks, zombies, werewolves and evil jesters” this year. Tickets £50 per adult and £30 per child (yes, even the young enjoy All Hallows Eve…). This includes a 4-course feast with wine and/or ale and ongoing entertainment. Halloween should be wickedly wild, of course. Concur, and you’ll most likely enjoy Savage Garden’s darkly themed offering on Friday 26th October. 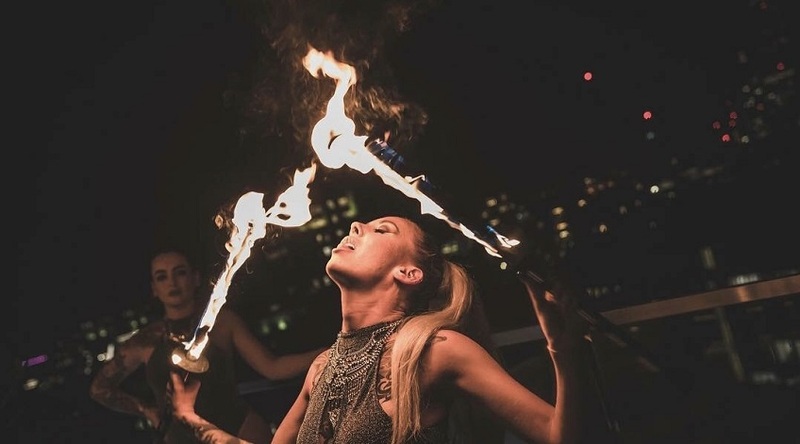 Taking place in this wonderful City rooftop bar from 10pm until 2am, Halloween at Savage Garden promises a “‘twisted circus’ party complete with evil clowns, circus performers, and even a human table” at its 12th floor location. Background music (provided by DJ Karistocat) will be of the “hi-energy club atmosphere with sets that blend on-trend tracks past and present with disco, hip hop, RnB gems and classic house”. But it’s all about the cocktails really, isn’t it? If that be your focus (it might perhaps be ours – shh! ), then SG is certainly the pick for you: just some of the options include Penicillin (made from a healthy dose of 10 year old Laphroaigh), Devil’s Advocate (two red chilli horns warn of its hellish beauty), and Wild Poison (Makers Mark bourbon, apricot brandy, apple juice, smoked pine syrup, Campari and ‘poison apple’). We know which we’ll be sipping through plastic pointed teeth… Tickets from £20 and far upwards.